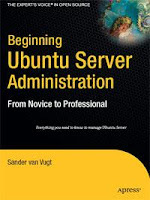 You probably chose Ubuntu as a server solution because of either your gratifying experience using it on the desktop or the raves you’ve heard from others about its user-friendly approach. Accordingly, you might expect the general Ubuntu Server installation process to be fairly easy, and indeed it is. Nevertheless, because your ultimate goal is to deploy the server in a production environment, it’s a good idea to follow some key aspects of the installation process with rigor, and this chapter is intended to help you do exactly that. To keep things as simple as possible, you’ll read how to complete the installation on a real server, with no virtualization involved. You’ll explore the different options presented to you while installing Ubuntu, as well as the best choice to make to ensure that your installation is successful.